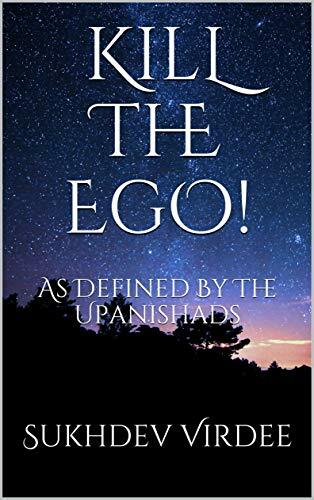 In the 4th part of this series titled, “Kill The Ego!” David decides to stay back at the ashram while everyone else leaves. David decides he’s not going back until he realizes his true Self and spends a few months there. He helps out at the ashram, serves other seekers and does everything as he had understood it. However, he still hasn’t realized the Self and finally out of frustration he confronts Swamiji. Swamiji decides to do something that he has never done before with any other seeker. They have a one-on-one closed room conversation in which Swamiji is at his best. He corners David from every possible angle and smashes every excuse David can come up with, about the one claiming not to have realized Brahman. David too pulls out all his defensive shields and weapons ready to attack the one who is trying to kill him. An explosive conversation takes place and finally, David decides that he's had enough of all these philosophical talks and promising theories that seemed unrealistic and unpractical. "It's time to go home, I've wasted enough time. Swamiji may be enlightened or not but it could be all one big hoax as well, who knows?" thinks David to himself. To be fair, David did everything Swamiji asked of him. Swamiji knew without a doubt that David was truly a genuine and sincere seeker who was hungry to the core for God. Above all this, Swamiji knew for CERTAIN that there was no way that David was going to survive this conversation. Swamiji had seen his own Guru do this only once, and that to, to a very dear disciple. Swamiji knew without a doubt that he had injected the most feared words into David’s mind and that it would only be a matter of time before his ego would literally destroy itself without any more external help. No Spiritual Master would do this unless the disciple proved to be worthy of it. As David checks into Indira Gandhi International Airport ready with boarding pass in hand to fly back to New York City, it finally happens and David cannot comprehend what was happening as it was happening. It was nothing like what he had been told since his arrival. It could not be described in words.